Create a team culture that values dedication, caring, customer focus, a desire to be involved in a challenging work environment and adaptability to changing conditions. Solutions that maximise the effectiveness of communication strategies that add value and leverage marketing investments. An audience that is relevant and receptive to their communication. An accountable medium that is results driven. 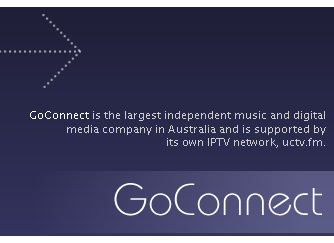 Offer content providers unique distribution channels via the GoConnect media network to create new revenue opportunities. Provide affiliates with an ability to enhance consumer experience, encourage loyalty and create new revenue opportunities. Enhance the online and mobile consumers' experience by providing entertaining and unparalleled quality content today. Maximise shareholder value by maintaining a leadership position in online and mobile media communications. IPTV will form the central plank of the GCN group's strategy while a number of vertical businesses will extend from the uctv.fm IPTV network supported and promoted by this network. These vertical businesses are below. Artist media and editorial coverage. At a time when major music labels are changing their business model, relying more on outsourcing to reduce operational costs, The GCN service offering is already well-received by the major music labels. Undercover.fm is highly respected within the entertainment industry with a wealth of proprietary content and quality editorials. However, undercover.fm has remained largely a news/information website. GCN plans to replicate and expand the undercover brand name and business model into other geographical regions with local versions of undercover.fm established in the US, Europe Middle East North Africa region and Asia. 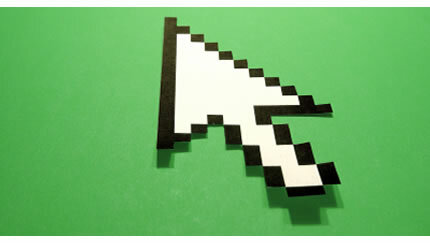 The group's online properties will have a combined total of 1 million unique monthly users within 2010/2011. As well as organic growth, GCN is also in talks with other online entertainment properties to secure contracts for advertising representation in order to achieve its initial target of 1 million unique users monthly.